CHITTAGONG: Anti Corruption Commission (ACC) Chairman Iqbal Mahmood urged the government officials to provide people with corruption-free services. The ACC chairman said this while addressing a discussion titled ‘Corruption free government service: type of allegations of corruption’ with field level government officials at the conference room of the district administration in the city on Wednesday. Urging government officials to provide proper services, the ACC chief asked them to work with people. “We should not stand against people. You will not win fighting against people,” he said. Referring to the debacle of autocratic government in 1990, Iqbal Mahmood said action would be taken against officials concerned if they fail to serve people. He also urged all for abiding by law and provide service following existing system. The ACC boss called upon the officials not to bow down their heads to anyone under pressures as they are only accountable to people for their work, not to any other. 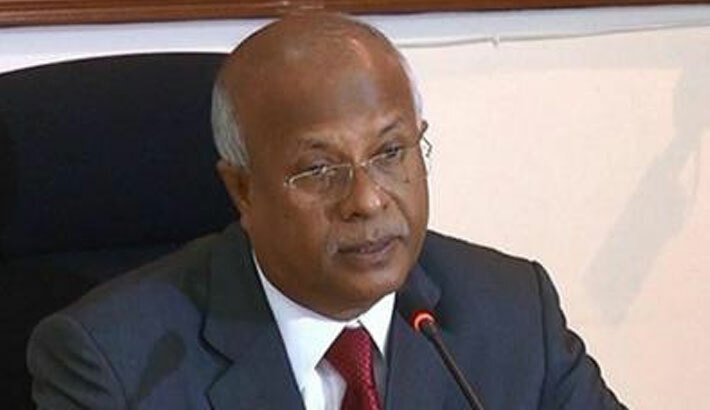 Putting up actions taken against officials and businessmen on charges of corruption, he said many Managing Directors (MDs) of banks and businessmen cannot go to the airport as they are not allowed to leave the country. “We would not spare anyone who misappropriated properties of people,” said the chairman. At the beginning of the meeting, ACC Directorate General (DG-Research, Monitoring, Prevention and Awareness) Dr Md Shamsul Arefin put up different allegations placed against different government offices earlier. Later, officials also delivered their speeches in the meeting. About the allegations, Iqbal Mahmood said not all the allegations are true. “If some allegations are not true so how the containers are sent without scanning? Who will say that arms were not sent through the containers,” he questioned. Chittagong Divisional Commissioner Md Ruhul Amin presided over the meeting which was also addressed by Chittagong Metropolitan Police (CMP) Commissioner Md Iqbal Bahar, Chittagong Range Deputy Inspector General (DIG) SM Moniruzzaman, Chittagong Medical College Hospital (CMCH) Director Brigadier General Md Jalal Uddin and Chittagong Customs Commissioner AFM Abdullah Khan.